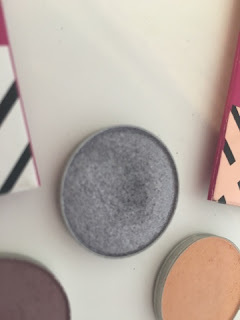 If you have been reading beauty blogs or watching beauty gurus on YouTube for a while, then you definitely would have heard about Makeup Geek eye shadows. They are raved about constantly in the blogging world, so it was about time I found out what all the fuss was about. 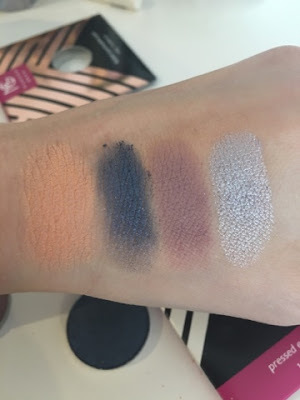 I actually ordered these a while ago off the Makeup Geek website but didn't want to write a review until I had worn them properly, rather than just swatching them on my hand! 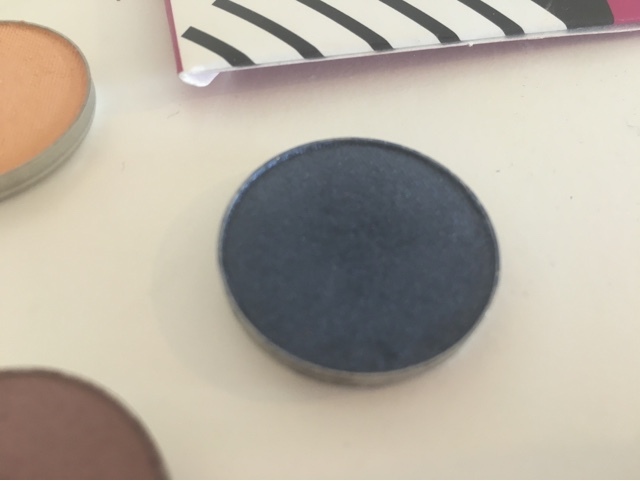 They are renowned for their amazing quality and even better value, rivalling another favourite makeup brand for eye shadows - MAC Cosmetics. I bought 4 shades, 3 from the original collection and 1 from their foiled eye shadow collection. Peach Smoothie, a pale peach shade that makes a great transition colour. 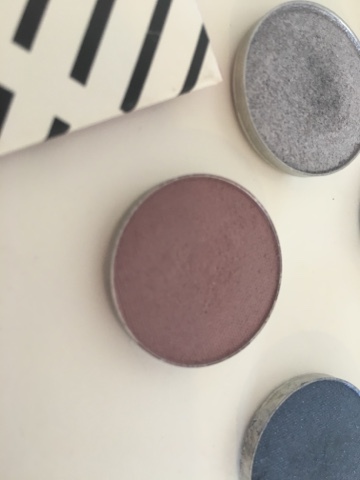 Unexpected, taupe with a purple undertone that's another good transition colour for smoky eyes. Nautica, a shimmering navy blue. 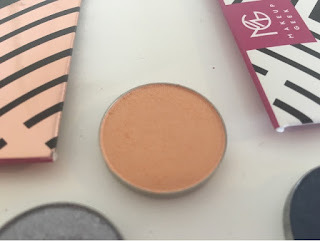 High Wire, one of their 'foiled' eye shadows that is an intense shimmery silver. I have used all 4 shadows a couple of times now and I am super impressed, they were easy to blend and longwearing, my eye shadow remained perfect after an evening out. I paid $6 each ($10 for foiled) which I think is great value for money. Overall, my favourite out of the 4 shades of course has to be High Wire, it is SUPER pigmented and really gives that wow factor when applied. It has made me fall completely in love with the foiled shadows and I cannot wait to purchase more. For my fellow UK citizens, Makeup Geek is now available on beautybay.com with free delivery over £15. 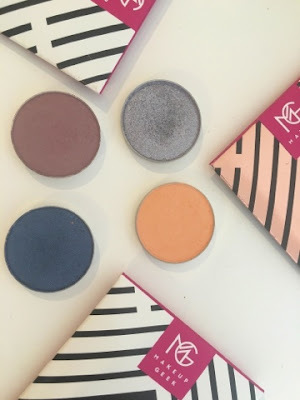 Have you tried any Makeup Geek shadows yet?